Since there doesn't seem to be a DIY on here (or at least I haven't seen one). 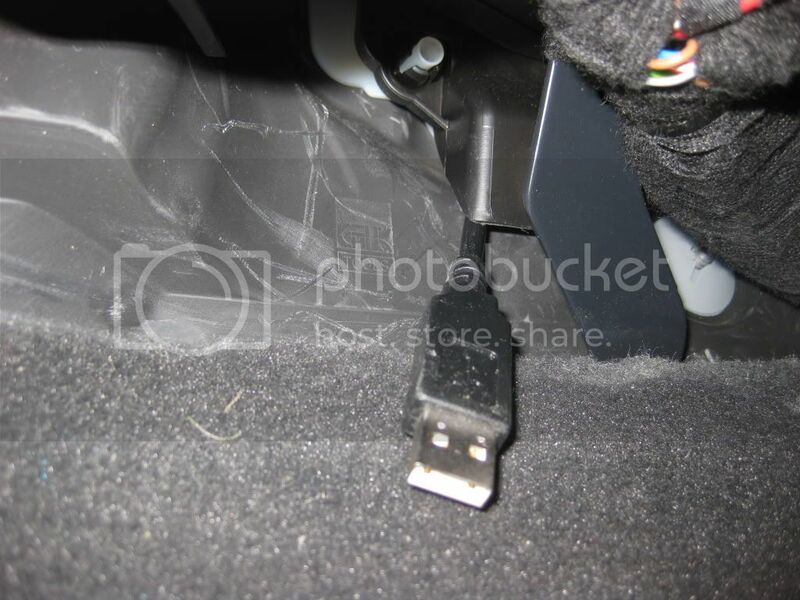 I made a short write up on how to route the USB through the engine bay's firewall into the passenger side footwell. Then after that you can just run it up into the glove box. 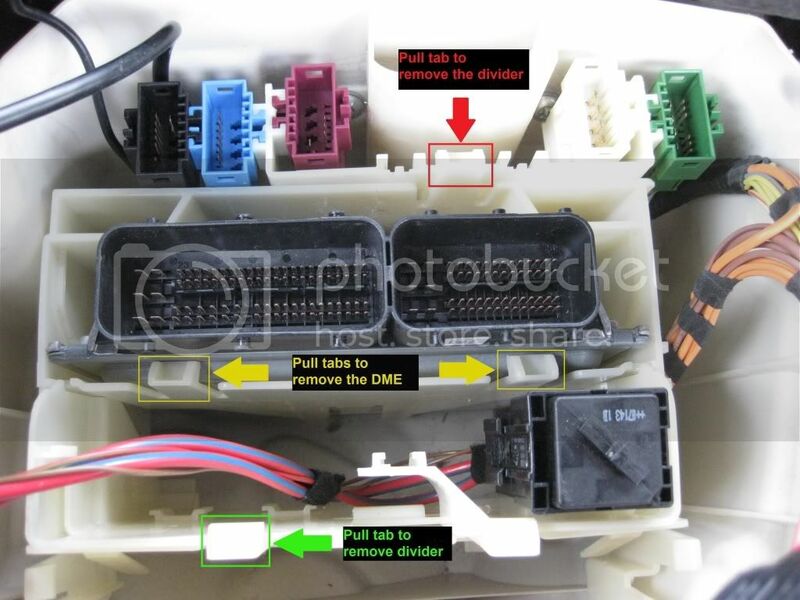 I'm sure everyone knows how to get into their DME and into their fuse box in the glove, so I'll leave that info out. lol! Disconnect the negative terminal to battery. 1. 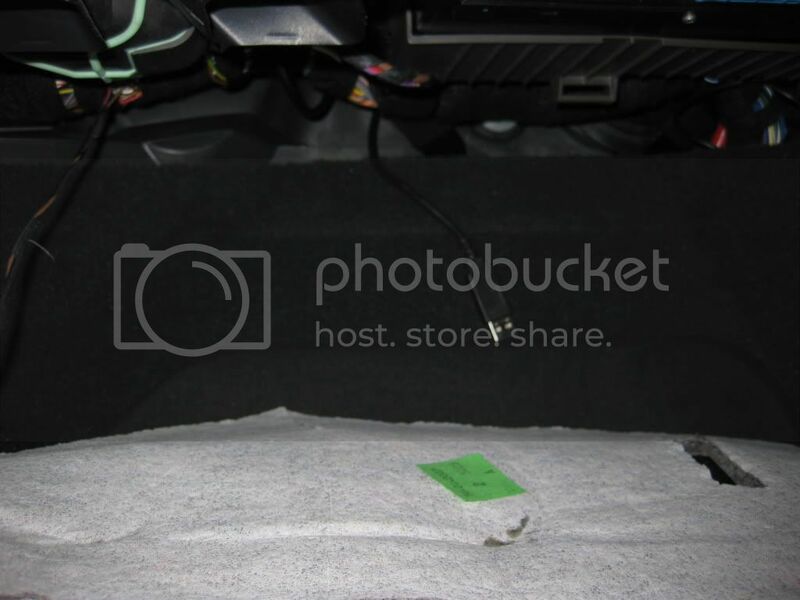 Inside the passenger side footwell, below the glove box. Use a T8 torx bit or T8 torx screwdriver to remove the 2 screws where the yellow arrows are pointing and let the plastic cover lay on the floor. 2. Go into engine bay to the DME box and unclip the plugs where the red arrows are. Every car is different because of options. So, mine might have more plugs than yours and some might have more or less than mine, but if you see plugs there, just unplug them. Don't worry about remembering which position it was taken out, it can only go back in one way. And it's all color coded, BMW FTW! lol! 3. Pull out the rubber grommets where the yellow arrows are. Once everything is unplugged and pulled out. 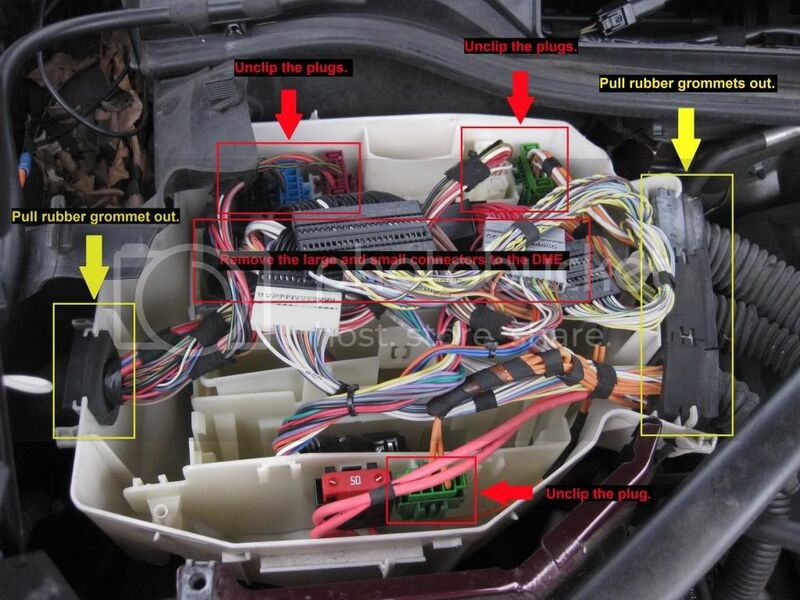 Pull all the wiring harnesses towards the headlights and it should look like the pic below. 4. Pull the tabs where the yellow arrows are and remove the DME. 5. Pull the tab where the red arrow is to remove that divider. 6. Pull the tab where the green arrow is to remove that divider. Once the DME and the dividers are removed, it should look like the pic below. 7. 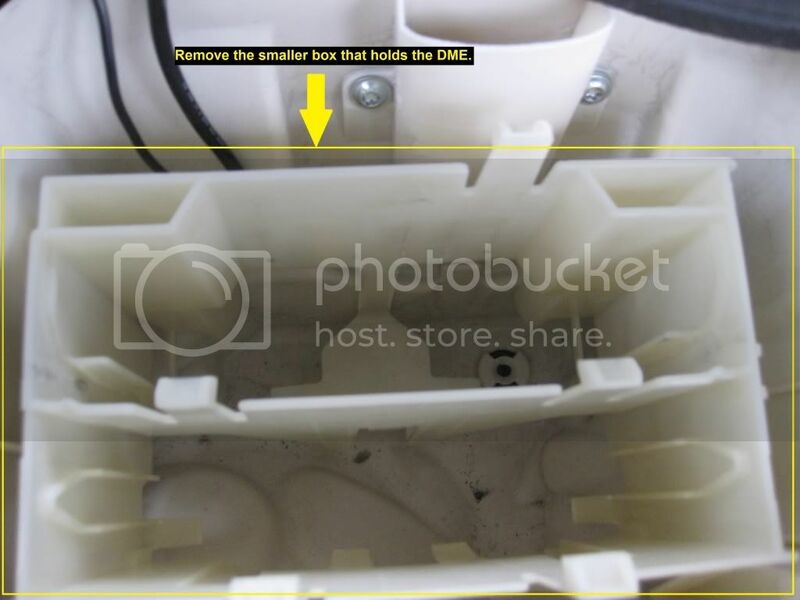 Remove the small box that holds the DME and the dividers. Once the box is out, you'll see a hole where you will push the USB wire through. 8. 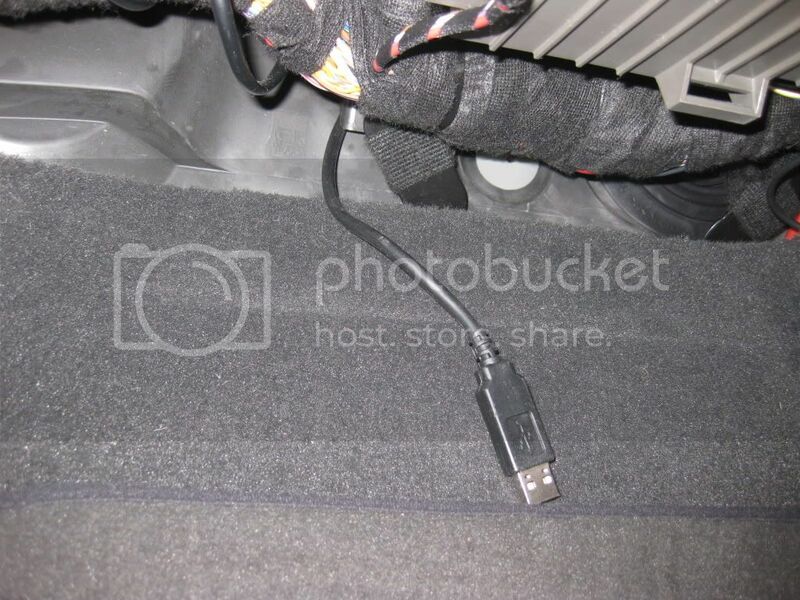 Push the USB cable straight down, don't need to use a lot of force, just stick it down and you'll see it in the passenger side footwell. Just push it through probably about an inch or two. 9. 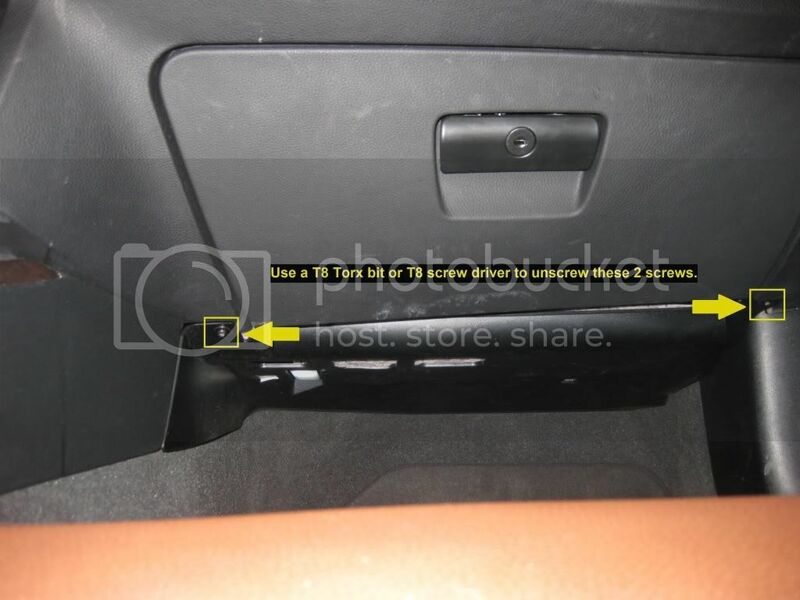 Go to the passenger side footwell in the middle and you should see the USB cable sticking out. 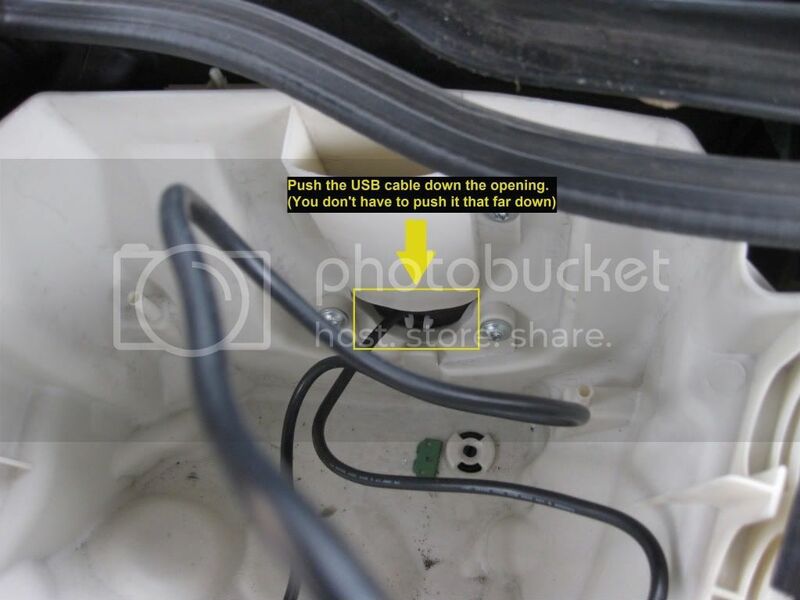 Once the USB is through, pull as much of it as you can and route it up into the glove box. Once the USB cable is through, just go in reverse and put everything back. Once everything is put back together, plug the negative terminal back onto the battery and test to make sure everything is good. After running the USB cable through the firewall, you can follow Terry's instructions on the 2.0 upgrade. There might be easier ways to do this DIY, but I found this to be the easiest way for me. I have done 2 cars so far, mine and another member's and it's pretty straight forward. Last edited by bimmer335i07; 02-06-2010 at 11:02 PM..
Two thumbs WAY up. Great job! very straightforward. thanks for the diy! Very useful! Thanks for taking the time. Where do you keep the slack wire that is outside the box? Do you twist tie it and tuck it somewhere in the engine bay? Is the heat situation ok? Thanks for this! very usefull! How long does this take? Thinking about having to remove the USB cable for dealer visits. Yea that was one reason I didn't want to go through the firewall. I do not know if heat will eventually cause problems, but the way I have it it's not in direct contact with any heat source. This is how I routed the wire out of the ECU box. It goes out smashed between the rubber grommet and the ECU box lid, then under the rubber flap up towards the windshield, then out. Then I have it just kickin-it in this little niche. Then from there I just run it in through the passenger side window and to my laptop. I also put a USB cover over the USB part of the cable and taped it in place to protect it from the elements. Again, I doubt it, but I not know if heat will eventually cause issues with this setup so do this at your own risk. EDIT: After having a little more time with the cable in this spot, I would say heat is not an issue. After driving around, to the touch, the cable is no warmer than ambient temperatures. Last edited by shoes; 02-12-2010 at 11:54 PM..
if anyone local wants some help with this, I'm sure he'll give you a hand, he helped me button mine up!! If you're serious, Union, NJ. I have the same SN on e90post. About 30 mins. maybe less? DAMN!! That ECU box is CLEAN!! I need to upgrade to the PnP!! Yes, you should definitely upgrade to the PnP. I helped RevC install his Pin out JB3 2.0 and he's loving it. He's looking into getting a PnP upgrade, too. lol! Great info, I'm glad I'm doing all the research up front. Thanks to all of you on this site, can't wait to get the JB3 done. How does this affect the longevity of the engine? If this is already a thread, please just direct me to the link. Damn all you guys did it the hard way....I just took out the DME and fed the usb through. Same place my mapswitch wires are routed for my vent gauge. If I knew I could do it that way, I would have. lol! Great to know for the next time. lol! If you follow the 2 member's instruction above, it should take no more than an hour tops, for everything. Maybe even 30 mins. I think it took me a little less than an hour. I just routed mine through the door when I needed to datalog, otherwise I have the USB routed through the passenger side ECU grommet, and sitting by the ECU box. I still need to decide where to keep it long term. For those indivuduals who offered other ways, could you please post pics for refrence, it would really help. (specifically Forced Air).